We hope you are all having a lovely weekend so far! We have had another busy half term and the children thoroughly enjoyed learning about Chinese New Year last week. As we enter into our final week of this half term, we will resume our topic 'What's in a story', where we focus on traditional tales. 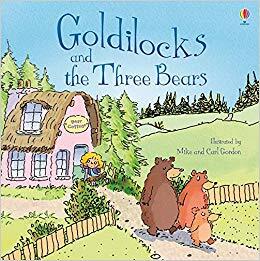 This week our story focus will be "Goldilocks and the three bears" , where the children will experience tasting porridge, creating their own chairs and beds for Goldilocks and writing about their favourite part. We are pleased with how well the children are starting to use their phonic knowledge to attempt to spell words. Any help you can give the children with writing birthday cards, notes, shopping lists would be appreciated. We will be holding our monthly reading morning on Tuesday. We hope to see as many of you there as possible. As the children are becoming more independent in their early morning routines, we will actively be encouraging parents to say their goodbyes at the doors and allowing the children to walk up the corridor to their classes by themselves after half term. Members of staff will of course be there to greet your child and assist where necessary and be available should you need to speak with them. We will continue with our phonics programme Read, Write Inc, recapping our sounds and practising to blend and write words using their set 1 sounds. In maths we will be consolidating our learning on measures and introducing the concept of time (o'clock). Your child will continue to bring home a reading book (which is changed weekly) and a set of sight words. The expectation is your child reads at least 3 times or more each week. As we are promoting a love of reading, we encourage your child to read a range of books and is not limited to the one we send home with them. Please also remember to make a note of the title of the book your child has read to help them achieve their reading awards. 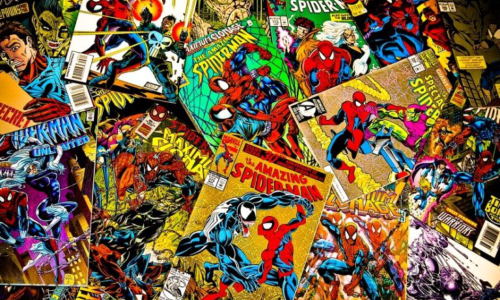 If your child has any comics at home that they have finished with we would be grateful for them in school. Children enjoy sharing these and having a variety of reading material helps their development. We have a lost umbrella. If you could check that you have the right umbrella at home, we would very much appreciate it. Each half term we will be setting our pupils a challenge related to their learning. We believe that it is important for us to provide guidance for parents on how their children’s learning can be extended at home. The learning challenge will include either a nursery rhyme, famous person, illustration or a piece of music. Please talk to your child about the challenge and help them to engage in their learning. The children can choose how they present their learning challenge outcomes to their teacher or class. · To find out facts about the illustrator. · Produce a collage of other pictures by the illustrator. · To draw a picture in a similar style. · Watch the person in action. PLEASE NAME all items of clothing. This will help when returning lost items, particularly jumpers and cardigans with the right child. We are still accumulating a large number of items. Please check your child’s class if they are missing something. Our PE days are Wednesday. Please ensure your child has a named PE kit in school. If they wear earrings they need to be removed on this day. Thank you to all those parents who have sent in a named set of spare clothes. If you haven’t yet could you please ensure your child has a named set of spare clothes and underwear on their peg as soon as possible. Please note this does not need to be school uniform. Children can also bring in a pair of named wellies to leave in school. This would be great for use in the mud kitchen and on rainy days. Please actively encourage your child to put away their book bag and hang up their coat in the morning. 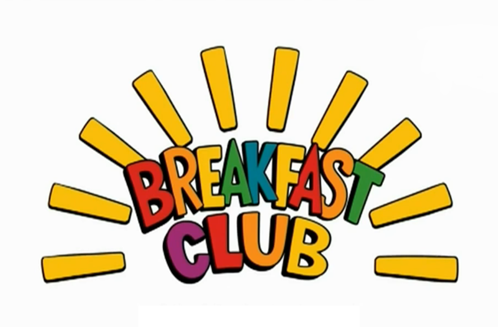 It would also be really helpful if you could discuss the menu choices with your child the previous night to help them independently find their cupcake and make their lunch choice. Please can you ensure that if your child is not in school for any reason you call the school to report the absence. This saves the office staff a lot of time spent in making phone calls. Please note that the final day of the summer term will be on Friday 19th July, 2019. Confident to speak to others about own needs, wants, interests and opinions. Can usually adapt behaviour to different events, social situations and changes in routine. Joins in with repeated refrains. Can retell a simple story. Builds up vocabulary that reflects the breadth of their experiences. Describes main story settings, events and principal characters. Beginning to be aware of the way stories are structured. Joins in with repeated refrains and anticipated key events and phrases in rhymes and stories. Can usually manage washing and drying hands. Runs skilfully and negotiates spaces successfully. To recap number recognition 0-10. To recap number formation 0-10. To confidently count to 20 and beyond demonstrating place value. Remembers and talks about significant events in their own experiences. Shows an interest in different ways of life. Can talk about some of the things they have observed. Constructs with a purpose in mind. Manipulates material to achieve a planned effect. A roaring dinosaur day in Reception! Amazing opportunity for our Year 3 children! Keeping safe in Year 2! Reception are ready to read! © Mead Primary School. Powered by Blogger.